These vehicles are engineered for performance, with each including a specially developed engine specific to the vehicle, along with aggressively tuned handling. The F philosophy takes motorsport technology, precision engineering and most important of all - a passion to pursue and achieve the purest, visceral driving experience ever. Discover the F models for yourself. LEXUS F VEHICLES ARE DESIGNED FROM THE GROUND UP TO AMPLIFY THE DRIVER'S SKILL, RATHER THAN DEMAND AN ADVANCED LEVEL OF DRIVING EXPERTISE. 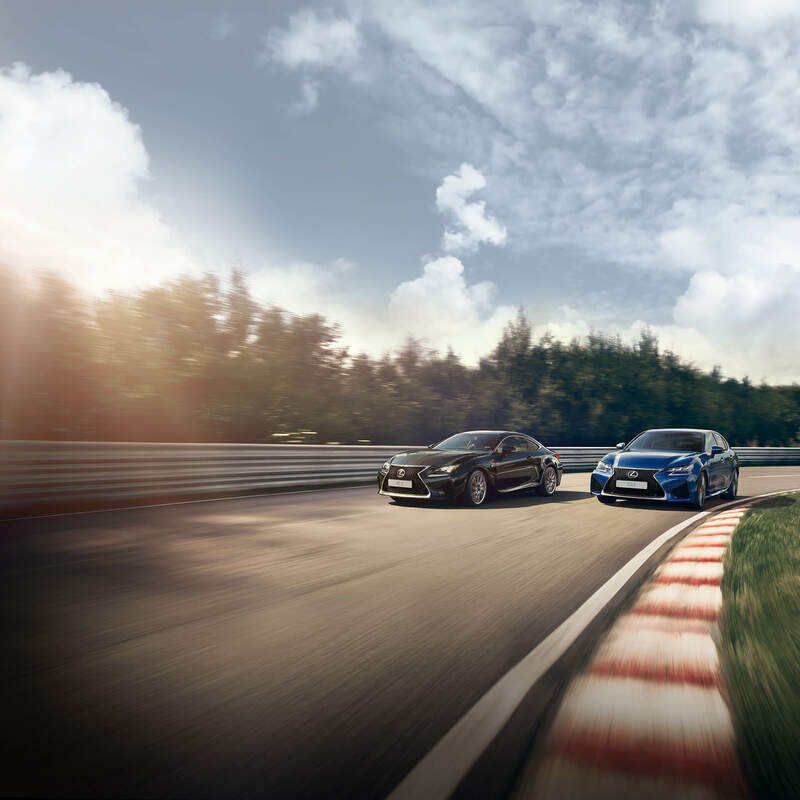 BEHIND THE WHEEL OF A LEXUS F PERFORMANCE VEHICLE YOU'LL DISCOVER PURE DRIVING JOY. The RC F has been described by some as one of the most amazing high performance 2+2 ever created. Others go further in an attempt to capture the exhilaration; an unprecedented feat of performance engineering forged from the asphalt up. However you choose to describe the RC F, no words will prepare you for the emotional and enthralling driving experience that awaits. Pushing boundaries is nothing new, ignoring them altogether - that’s another matter. The GS F is a hand-built, race-tuned 5-litre, 32-valve double-overhead-camshaft V8. You don’t drive it, you unleash it. Yet while the GS F is an audacious new expression of the Lexus F Philosophy, it also has the sophisticated refinement, finish and luxury you’d expect from Lexus.